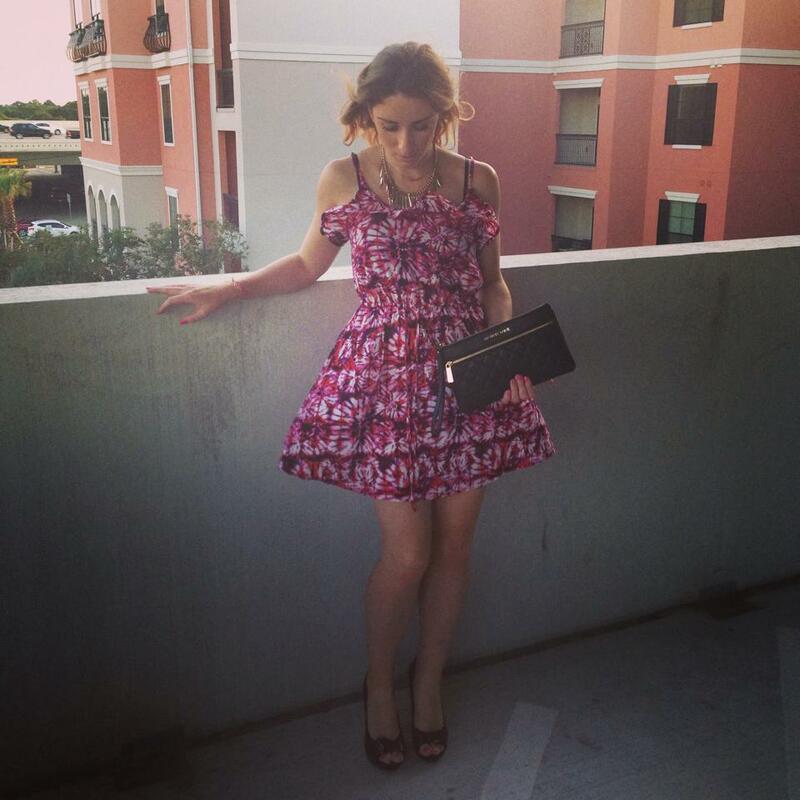 I try to do something different every week, whether it’s meeting new people (which is easy as we are still newbies to Houston) or doing a new activity. I love weekends where you are active and making the most of your time, but sometimes you need those quiet moments to take in everything, relax and rewind! Preparing yourself for the week ahead. I’m by no means an artist, and would never ever make that statement but I do love to be creative, especially when it comes to decoration. We are currently staying in a furnished 1 bedroom apartment, however looking to move into a 2 bed-apt mid 2015. Therefore, I love to have personal items around us. It makes us more grounded, plus it’s creating memories, one of a kind pieces. I found this very therapeutic. Life can sometimes get us down, or be stressful or too busy, or from my point of view I’m a very positive person however sometimes life even gets to me and I can be quite negative, all be it maybe for an hour or so and I try to bring my mood back up to normal! I think we don’t take enough time to sit back and appreciate what we have, it’s too easy to slip into ‘I’m not good enough mode’ or be jealous of a situation or people, compare yourself – this world we are living in is very materialistic and I think pure happiness is extremely rare! With our first thanksgiving this year I really am trying to revaluate the way I look at life and opportunities and to finally realize that there are some things I just can’t control however I also can’t punish myself for them. Therefore, when I do arts and crafts I have a sense of tranquility and it brings meaning. I would encourage you guys to do the same, my project this week is my first alteration to a top…! Even borrowed my friends sewing machine..! Can’t help but think it might bring nothing but stress into my life though!! 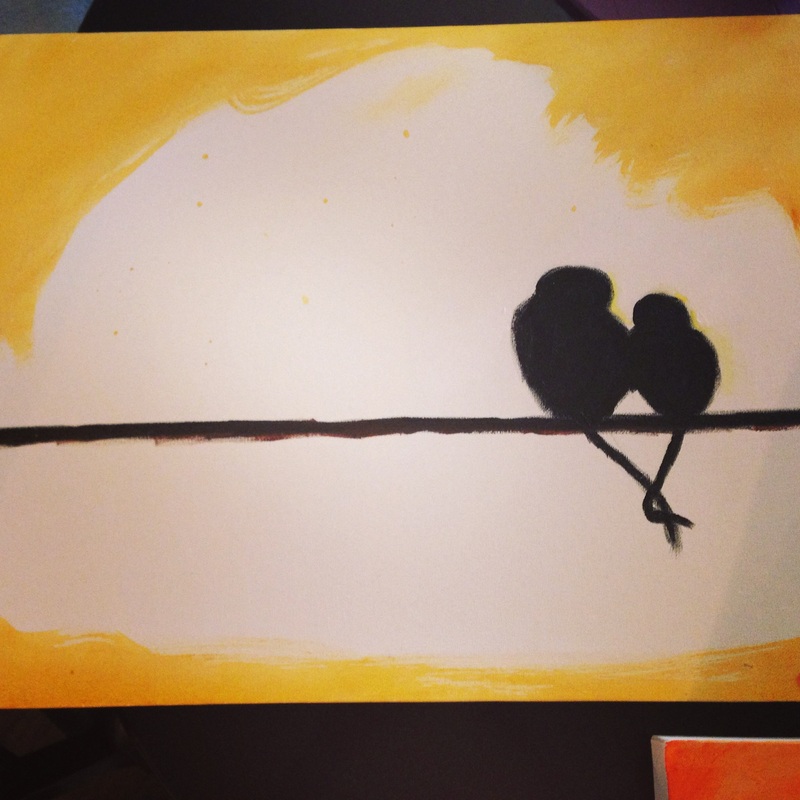 The picture above are two love birds, tails intertwined just like their love for one an other. 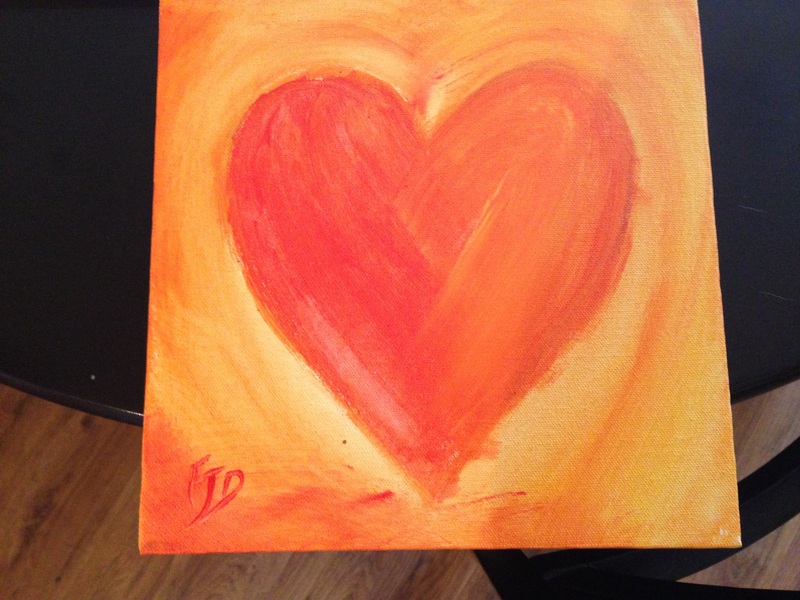 The picture below is a fiery heart. Again, I know I’m no artist but do something this week/weekend where you can express yourself. it’s amazing how much better you will feel!